JJ Watt is the most dominant defensive force in the history of the NFL, or something like that. So it's no surprise that sports books are taking action on him winning postseason awards. But this, from Bovada, is not a very coherent prop bet. More like JJ Watt is Bovada talking about, amirite?!? 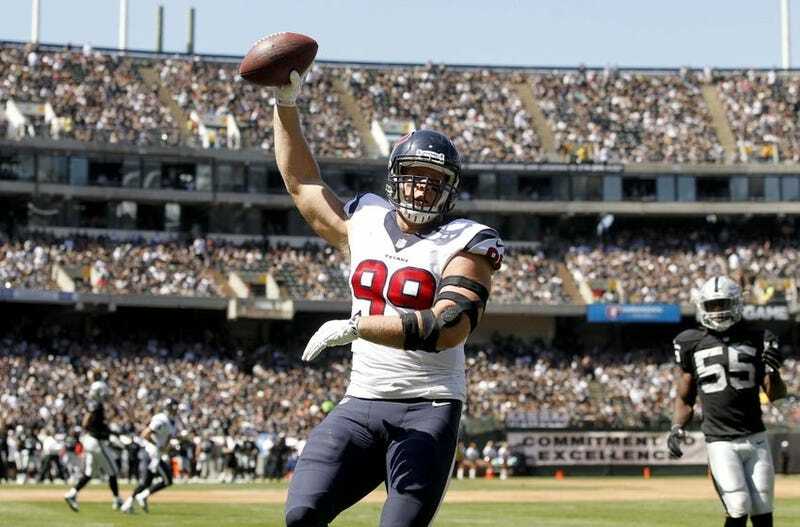 I mean, if they were asking if JJ Watt would win over or under 0.5 defensive MVP awards, that'd be different. But, as it stands currently, this doesn't make sense.